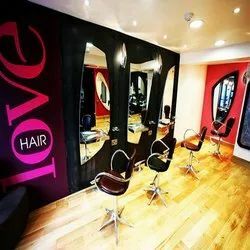 Best Salon Interior Designing, Beauty Parlour Interior Work Professionals, Contractors, Decorators, Consultants in India. 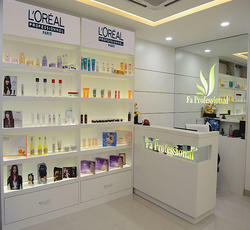 We are offering services as a interior designing of various Designer Beauty Parlours & Salons. Our interior designers are creative and offer magnificent look to the interiors of the Beauty Parlour & Salons. Due to our rich industry experience, we have been able to handle various Interior Designing. It is a saloon at deer park in gurgaon which has been designed by decons.we design saloon with appropriate amount of lights and mirrors with equally beautiful walls, floor and ceiling.